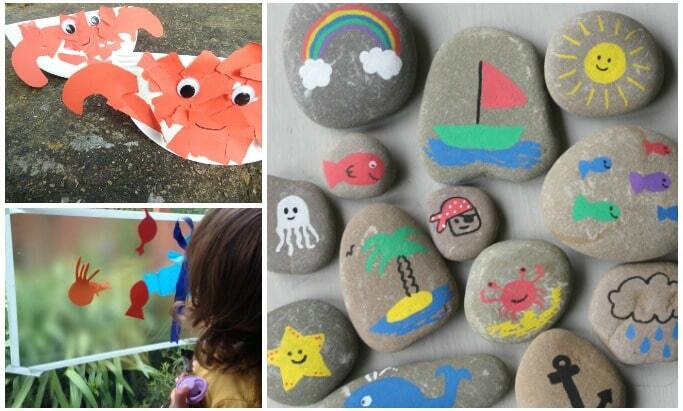 Here’s where you can find all the sea crafts for kids that have previously been posted on Crafts on Sea, there’s loads of crafts that the kids and I have made as well as round ups of our favourite sea crafts for kids by other bloggers. More will be added over time as they’re shared. I started adding our crafts to this page a little while ago and when I figured today I better update it I was really shocked by how many ideas we’ve shared! 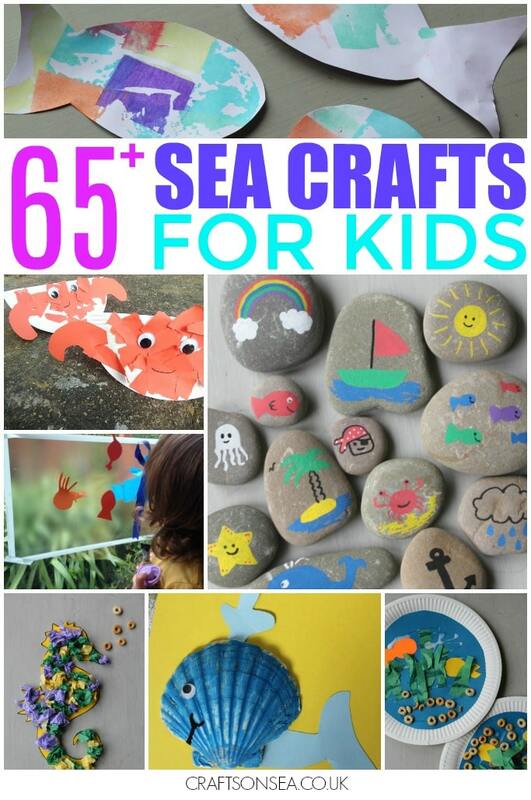 I’ve written that this is over 65 sea crafts for kids but as that includes ones that I’ve shared from other people it could be a lot more – I just remembered that I had to do the school run and not sit around counting ocean crafts all day! More sea crafts and activities for kids will be added to this as I share them so make sure that you check back or sign up to our newsletter to keep up to date on the latest posts. Sea colouring page – officially this is for adults but I think it would be fine for kids too! Seahorse Colouring Page – again one that I think older kids would be fine with!